It was Yellow Weaver's first night alone without her owner, 3-year-old Poppy Richardson. But, amid about 25 stuffed animals that spent the night at West Linn Public Library, the cat had plenty of company. 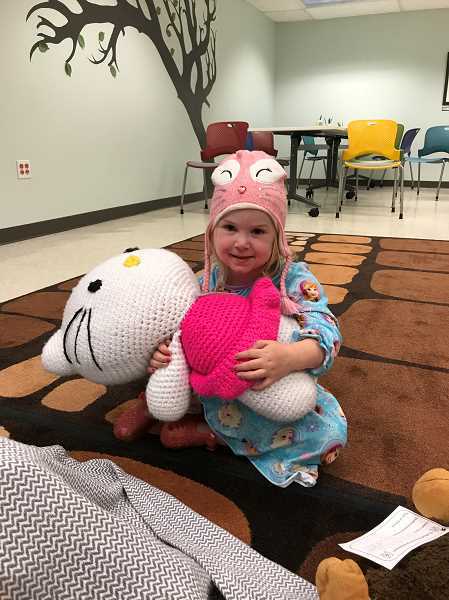 For the last four years, the library has hosted the animal sleepover to draw young children ages 3-7 to the library and support imaginative play. The library offers a weekly morning story time program that invites children and their parents or caregivers to listen to stories, sing songs and participate in other activities that promote literacy skills. Library staff created the animal sleepover as an evening program that mirrors the morning storytime program to attract busy working families. 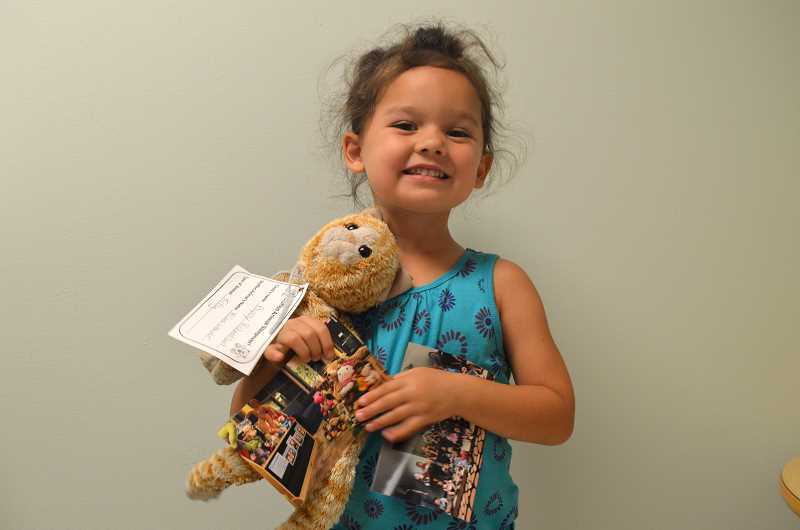 Once a year, children visit the library with their stuffed animals and participate in storytime and activities before leaving their furry friends overnight. "The first time we tried it people responded and were so excited just seeing how young children responded so enthusiastically — just the imagination and creativity they had about what their stuffed animal could do at the library really helps plant a seed of the library being a fun and exciting place in the mind of a child," said Sarah Flathman, the library's youth services manager. Alex Clark, father of 4-year-old Summer and 7-month-old Lily, said his family has participated in the animal sleepover the last two years. "The West Linn community overall does great events. This is just one of them," Clark said. "This one's really fun because the kids get to participate in it. There's some type of emotional connection with them having their own stuffed animals be brought in." Last year, Summer brought her teddy bear Beanie Baby that had a red heart on its chest. Summer called it "Hatch" because she couldn't pronounce heart when she was little. "Hatch, she sleeps with all the time so I'm surprised she let her go," Clark said. "She was really excited for Hatch to have a sleepover like she had had at Nana and Papa's previously." 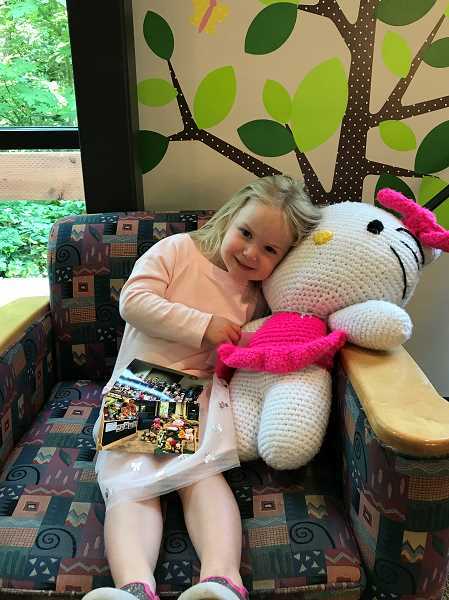 And this year Summer brought the large Hello Kitty that her Nana made for her. Aside from listening to stories and singing songs with their animals, children had a parade and walked around the library with their animals. 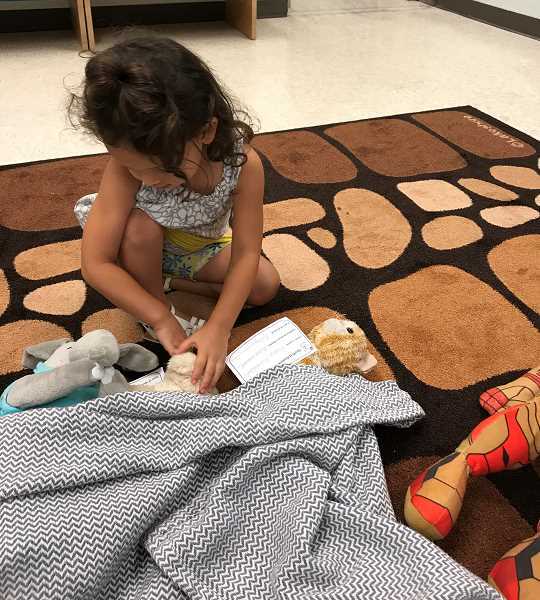 Some children shared something special about their stuffed friends' including their likes and dislikes, and bedtime instructions. "It's sweet to see the stories they come up with," Flathman said. "It's really fun when people bring a variety of animals so this year we have some larger Hulks and Iron Mans and the huge teddy bear from Costco." After the children tucked their animals in, library staff placed the animals in different parts of the library and photographed them doing different activities to show children what their animals did without them when they came to pick them up the next day. Staff posted the pictures on Facebook and provided each child with two pictures of their animals playing in the library. 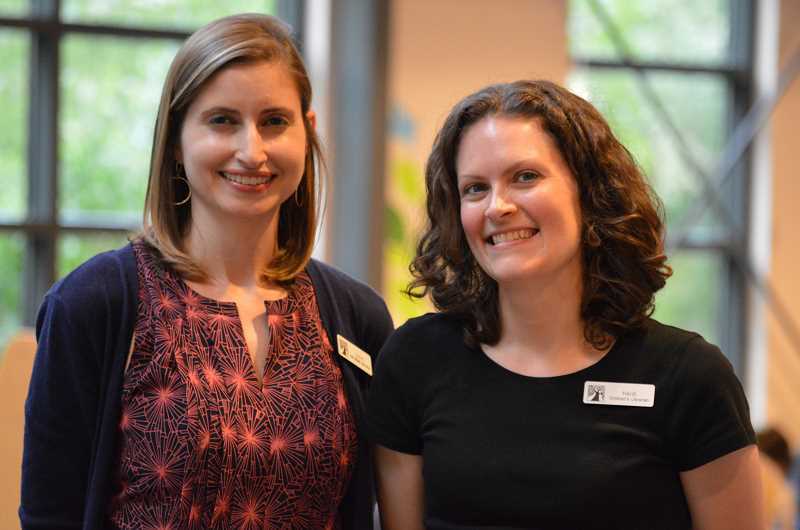 "We try to incorporate the favorite places in the library for young children, which are certainly the toys, the puppet theater and Lego (play area) — even just the stairs," said Flathman, adding that staff turns the sleepover into a narrative. "They'll be playing with toys but young kids love the stairs, so we'll probably do a picture on the stairs and touching the elevator button and looking at the Lego case." Flathman said they try to relate the activities to library offerings. "Making families aware of our resources — what toys we have down here and our new Book Nook," she said. "So it's just a fun way to support reading and literacy in a creative and developmentally appropriate way." Heidi Hackenjos, the children's librarian, said one of the kids felt concerned his dragon would wake up in the middle of the night, and, if it did, he wanted staff to read him a story. "The best part of it is seeing the pictures at the end and hearing the stories," Clark said. Hackenjos and Flathman said participation has increased every year and this year a total of 60 people participated in the event. Both staff members added that the animal sleepover is a good opportunity for teen volunteers to get service credit. "We'd love to have teen volunteers to help us out because they have really brilliant ideas of different storylines or photo opportunities we can put together," Flathman said.